Proprietary Blend Of Biotin And Collagen Transform Hair From The Inside Out. For women, hair defines who we are and how we feel. Our self-confidence is directly linked to our hair’s beauty. 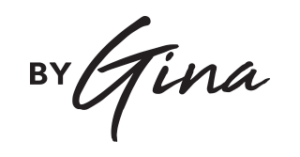 As a leader in the hair industry, Gina’s main mission is to make women look and feel amazing. Inspired by her own fabulous hair experience while taking prenatal vitamins she decided to find a way to duplicate that experience. 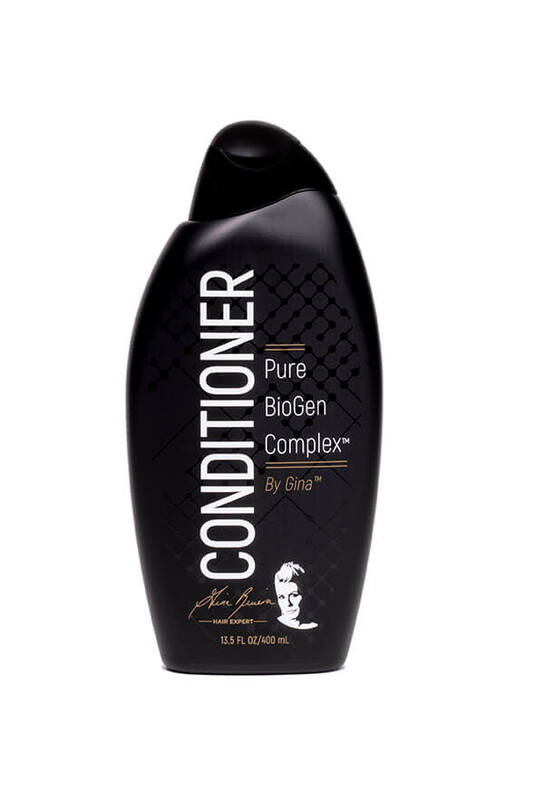 Partnering with a beauty chemist Gina created Biogen Complex™, a transformative blend of nourishing Biotin and fortifying Collagen that goes deep into the cortex to restore hair’s elasticity, improve condition and manageability, creating gorgeous luscious locks. 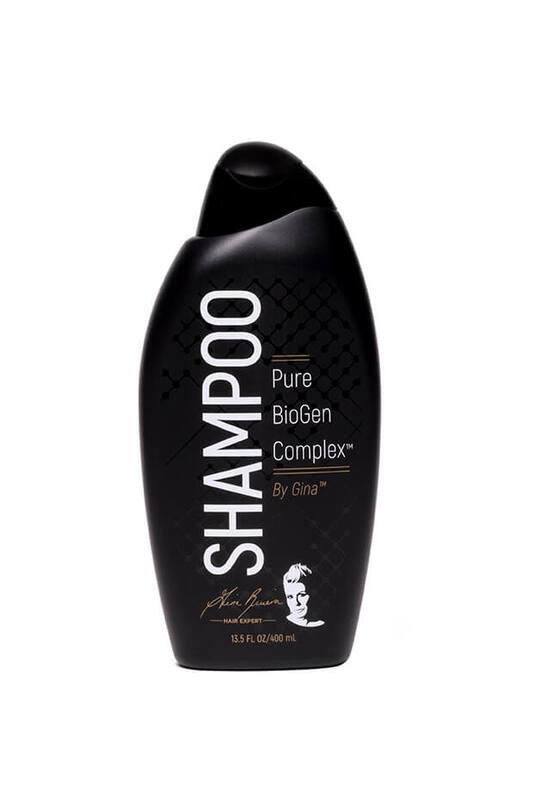 Our Exclusive Biogen Complex can be found within our entire by Gina Care collection. Did you know that your hair needs to have a balance of moisture to maintain its suppleness? The challenge with using high heat tools, they literally leach all the moisture out of the hair and in some cases the heat is so extreme they cause hair to boil from the inside out resulting in dry, brittle stands that are prone to easily breaking. Steam heat is different and better for your hair. The steam created using our exclusive infrared technology infuses each strand with micro-moisture particles which easily work their way into the cortex to rehydrate dry, brittle strands. Hair’s overall condition is instantly improved establishing the perfect environment to create amazing hair styles.